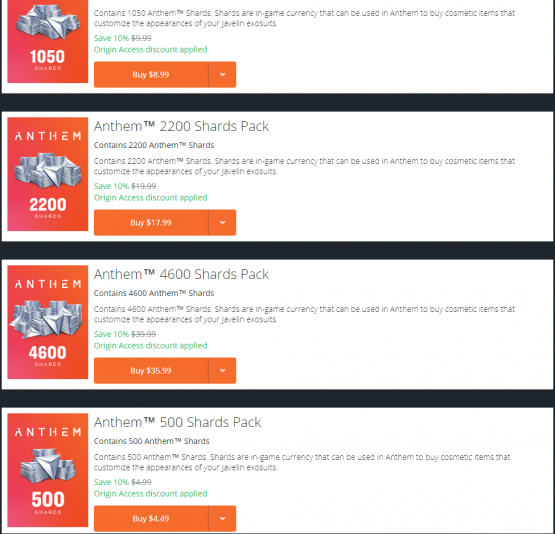 One of the biggest questions when it came to Anthem concerned in-game purchases. Specifically, how much of players’ real-life money would be spent (if they should choose to). Well, players are finally able to get their hands on Anthem, and as expected many are attempting to dig into every corner of BioWare’s newest universe. It’s impossible to satisfy everyone when it comes to microtransactions, but at least one question is finally resolved. 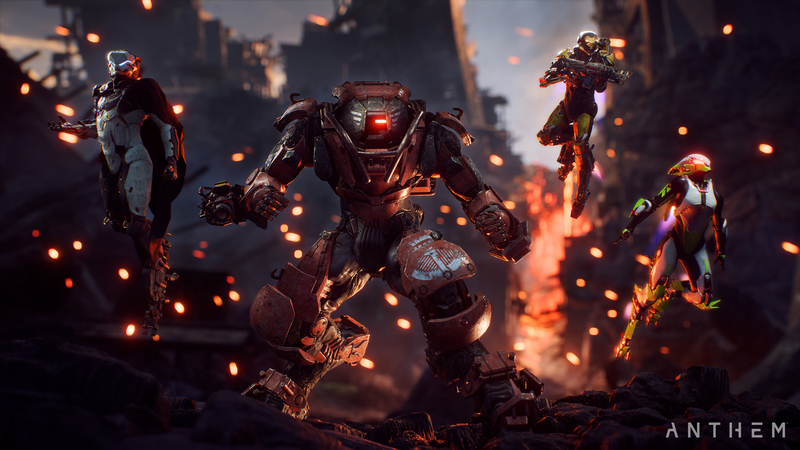 The information comes as certain players are able to play Anthem ahead of its “official” February 22nd launch. In case you need a refresher, EA released a chart detailing how different platforms have different release dates. Players using EA Origin Premier are able to play the full game, while those using EA Access and EA Origin Access Basic (on Xbox One and PC, respectively) are able to play it for ten hours. 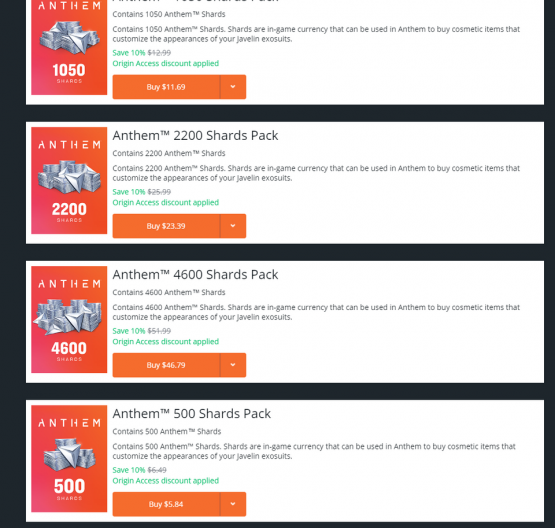 Microtransactions in Anthem have certainly been a point of controversy, even before launch. However, as EA noted, nothing is locked behind a paywall. Though it of course in-game purchases make everything easier, spending real currency isn’t necessary in Anthem. In addition to in-game purchases, we know plenty of content will be coming in the near future. BioWare has released a roadmap showing what players can expect post-launch. Anthem technically releases on February 22, 2019, even though it’s available in different forms for certain players. Sadly, PlayStation 4 players have to until the official launch date to finally dive (of fly, I guess) into Anthem. If you’re interested, you can preorder it here.